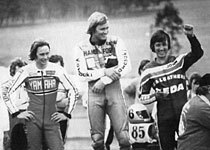 John Woodley is a former New Zealand motorcycling road race champion and three times winner of the Australian 500cc Grand Prix at Bathurst (1976, 1977 and 1979). He won five New Zealand championships from 1974 to 1980. 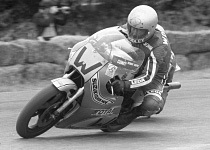 He competed in Europe in International events and World Championship Grand Prix races in Europe between 1977 and 1981 and in international events in Malaysia and Indonesia. 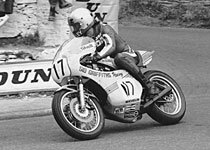 He was an Isle of Man competitor in 1978 where he finished 9th in the Senior (500cc) TT. His best World 500cc Championship finish was 9th at the French Grand Prix in 1979. These days he enjoys road riding and the social aspects of motorcycling with both old racing mates and more recent friendships with fellow enthusiasts. Among his favourite motorcycles is his 1991 Kawasaki ZZR1100, his 2003 Ducati 999S. He is an MV Agusta enthusiast and looks forward to owning an F4 R312 RR. 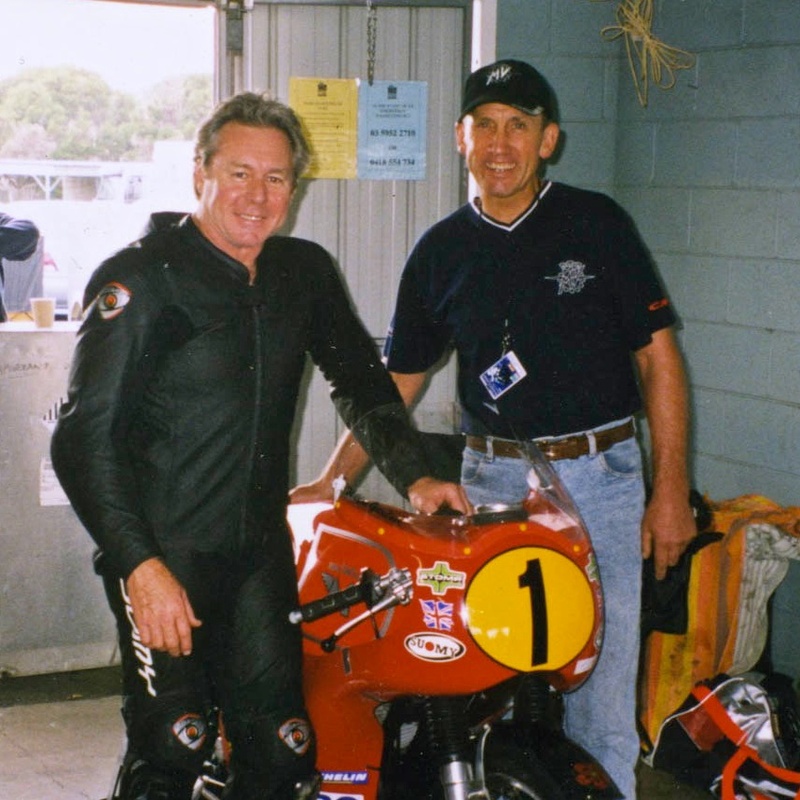 Wayne Gardner and John Woodley at Phillip Island. 3rd Oran Park F 750 series,1976, to Gregg Hansford and Warren Willing. 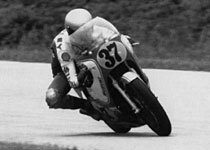 John Woodley: 5 times NZ roadrace champion and 3 times winner Australian 500cc GP, Bathurst, Australia.